Pregnant women are advised not to underestimate air pollution exposure. The researchers suggest that air pollution can weaken the placenta that surrounds the fetus and can cause premature birth. 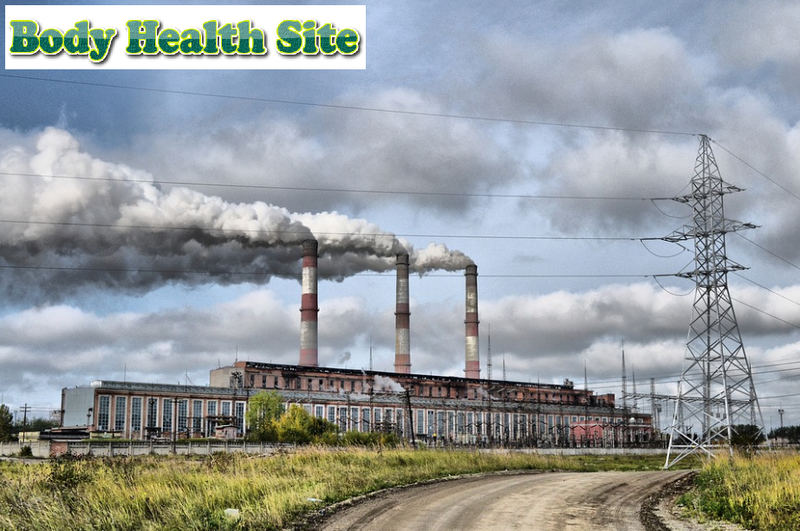 Air pollution is also known to cause pressure on the immune system and increase toxic compounds in the blood. Several studies have been conducted to see the effects of air pollution on health. The air pollution examined here is the exhaust fumes produced by vehicle engines which contain a mixture of various particles and toxic gases (carbon monoxide (CO) and sulfur dioxide). These particles are very small particles, which are less than 10 microns. Because of its very small size, these particles can infiltrate deep into the lungs. These microparticles are also able to penetrate the boundaries of the lungs and into the bloodstream, then enter the brain and placenta. This can lead to various health risks. The time between conception and delivery may be one of the most vulnerable stages of life. During this period, the environment can have a basic health effect on the baby and its effects are long-term. Evidence shows that exposure to air pollution from vehicles can cause the fetus to be born before 37 weeks of age in the womb or called prematurely. Premature babies or those with stunted growth can become vulnerable to additional environmental exposure. For example, because the stages of lung development at birth are not perfect, premature babies are susceptible to respiratory problems when in an environment with air pollution. Data also shows that the impact of environmental exposure on the delay in fetal growth and development in the womb can later have an impact on the risk of heart disease and diabetes in adulthood. In addition, a study suggests that the age of the womb of the first and last trimesters is very susceptible to problems when exposed to high levels of CO and microparticles. During early pregnancy, exposure to air pollution can block the development of the placenta which can further disrupt the delivery of nutrients and oxygen to the fetus. While the third trimester is an important phase for the development of fetal weight. The study also shows that there is a relationship between exposure to air pollution and premature birth or low birth weight babies. This is because exposure to air pollution during the pregnancy period can trigger inflammation and cause premature birth. Babies are born with congenital heart defects. If pregnant women are exposed to CO and possibly ozone at the age of two months, then there is an increased risk of babies having certain heart defects. This is estimated because the age of the womb is the most important time for the formation of fetal heart organs. Babies born with low body weight, which is less than 2.5 kg. Babies have a high risk of death. In the end, babies who experience certain birth defects, are born with low body weight or are prematurely born because of environmental exposure, have a much higher risk of experiencing death early in life. While babies who survive from this condition, still have a high risk of experiencing respiratory, brain, and digestive disorders in the future. Inhibiting physical development of children. Early age is a critical period for the development and maturity of several biological systems, such as the lungs, brain, and immune system. Meanwhile, air pollution can damage lung function and nerve development, or worsen the disease that is being suffered, such as asthma. The study of the effects of air pollution on pregnancy and birth is still an area that needs further research because there are still many unanswered questions. However, more and more evidence suggests exposure to air pollution to pregnancy and early childhood puts children at a higher risk of health problems. After reading the discussion above, it is very important for pregnant women to pay attention to the environmental conditions in which they are located. An environmental expert said that pregnant women living in areas with significant air pollution must try to minimize the time spent outdoors. If you really have to move outdoors, try to choose the time of the morning or after sunset. This is because sunlight increases ozone levels. Mother can also install air filters at home and close the windows so that outside pollution does not enter the house. In addition, you can protect yourself and your family from exposure to air pollution by not exercising outdoors when air quality is reported as an unhealthy condition. When exercising in unhealthy air conditions, the faster you breathe, the more pollution enters the lungs. No less important is to strengthen the mother's endurance by fulfilling the needs of water, nutrition, and regular exercise. 0 Response to "Exposure to Air Pollution Can Risk Premature Childbirth"